Home / Awareness / Incident / News / Viral / WATCH: CCTV Footage Shows Final Moments of a 2-Year-Old Girl ‘Sent to Her Death’ by Playmate! WATCH: CCTV Footage Shows Final Moments of a 2-Year-Old Girl ‘Sent to Her Death’ by Playmate! This is one of the reasons why kids shouldn’t be left to play by themselves. A two-year-old girl from China died after falling from the top floor of a residential building. Her lifeless body was later found by her neighbors on the first-floor terrace. The girl named “Li Li” was sent by her playmate on an elevator to the 17th floor, where she is believed to have fallen into the gap between the buildings. 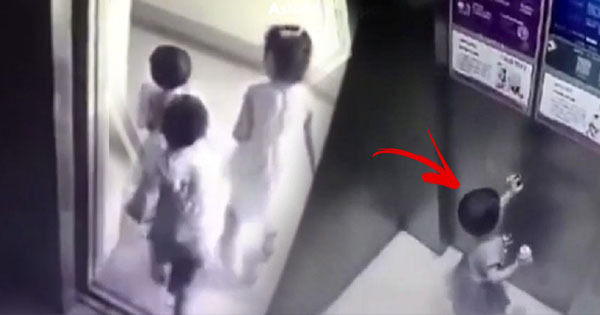 The CCTV in the elevator captured the little girl’s chilling last moments as she got off by herself on the top floor of the building after a prank by a mischievous playmate. The footage initially showed three kids, two girls and one boy, safely getting off the elevator. However, the boy playmate, aged five, stopped the smaller Li Li in the corridor. He carried her back to the lift and pressed “18” which corresponds to the 17th floor in Chinese buildings. The boy got off before the door closed and left Li Li alone inside. Seconds later, Li Li was shown banging the elevator doors wanting to go out. According to The Sun, the girl was under the care of her grandmother during the time of the incident. She noticed Li Li was missing and they began to search the area with their neighbors. The police believed she fell from the 17th floor to the first-floor terrace. The neighbors light a vigil for Li Li following the tragic accident. 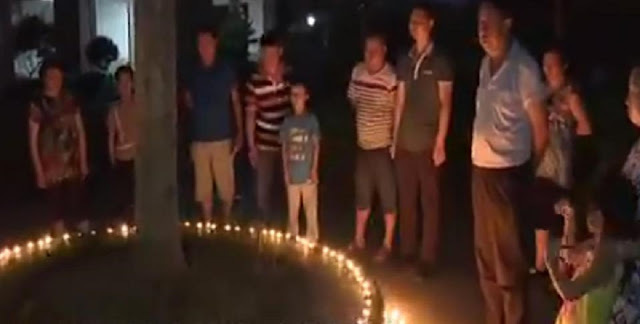 The local police investigating the case released the CCTV footage to the public. However, there is no further information about Li Li and her family. Meanwhile, the authorities also did not say if the boy’s family would be held accountable for the incident.